That is because they weren’t looking. The basic premise of Mrs. Obama’s speech–that she and her husband had struggled economically like so many other Americans–is false. Not only did they enjoy many advantages that others do not, but CNS News reports that Barack Obama inherited half a million dollars in stock from his grandmother, a bank vice president who Michelle misleadingly cited as a victim of gender discrimination. These fibs are not new for the Obama camp. The UK Daily Mail reported during the 2008 campaign that Michelle Obama has benefited from vast exaggerations of her “working-class origins,” substituting a humble single-room residence for what was in fact a middle-class home, and obscuring the fact that her family shared in the spoils from the Democratic Party’s regime of (segregated) patronage in Richard Daley’s Chicago. Many of the details the First Lady revealed of the Obama’s purported struggles were previously unknown. They would certainly have been available to the Obamas for use in speeches and campaign propaganda four years ago, if true. Yet many of them were mysteriously revealed to the public for the first time at the DNC. If Barack Obama was an impoverished student, for example, it would certainly have been news to his friends, who included rich Pakistani socialites. He dabbled in recreational drugs such as cocaine–hardly a cheap thrill–and traveled to Indonesia and Pakistan while still at college. Barack Obama is known to have a penchant for exaggeration, having embellished much of his memoir; it seems that tendency is shared by his wife as well. 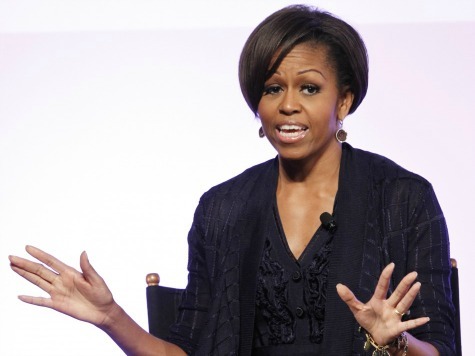 The mainstream media was so eager to pronounce Michelle Obama’s address a triumph (a “grand slam,” gushed Wolf Blitzer of CNN) that they did not even bother to check the truth of the stories she told. (Charles Krauthammer of Fox News pronounced the speech “brilliant,” but also added: “I didn’t buy a line of it.”). Evidently, fact checking is a weapon to be deployed against Republicans first and foremost. The Atlantic, for example, went after Ann Romney’s “hardknock early years” after her speech to the Republican National Convention. An army of fact checkers, professional and amateur, slammed Vice Presidential nominee Paul Ryan’s address the next night–though there was no basis whatsoever for their so-called corrections. Sadly, NPR is not alone in giving the fact checkers undue deference. As James Taranto of the Wall Street Journal noted earlier today, they often offer partisan pushback in the guise of independent analysis–or, when it comes to the Obamas and the Democrats, protection through neglect.